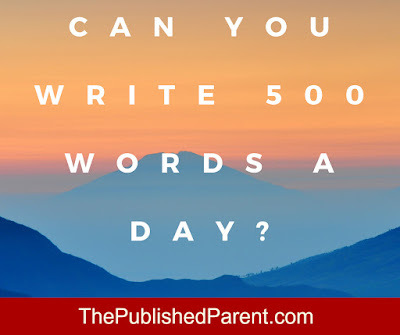 The Published Parent: Can You Consistently Write 500 Words a Day? 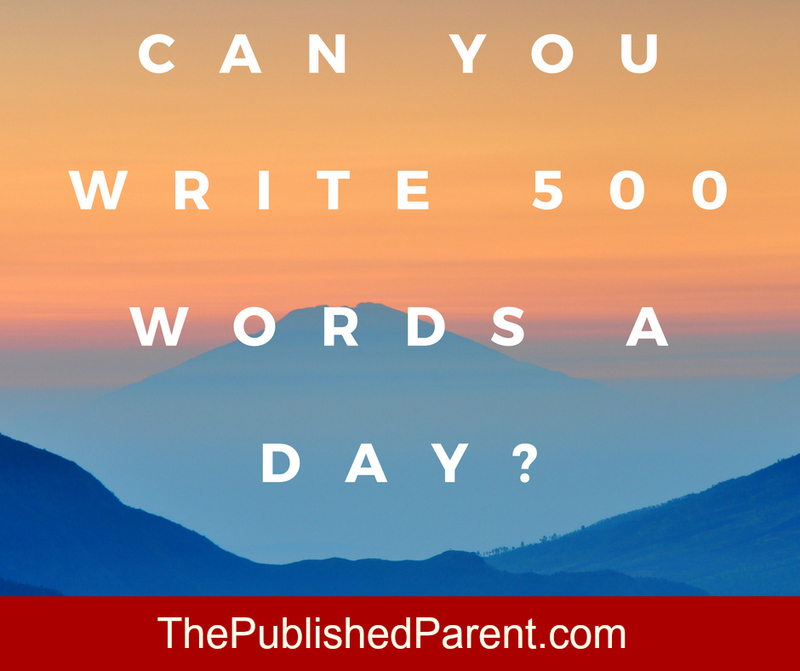 Can You Consistently Write 500 Words a Day? Imagine if you could crank out 500 words every single day. 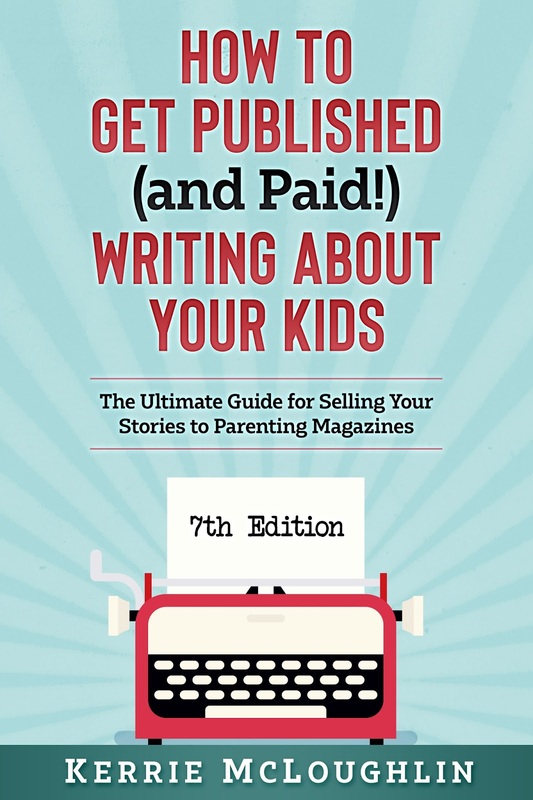 Let's say you were working on parenting magazine articles. You could easily get one article done every week (1,000 words is a long one) with time to edit, research, then submit. Every. Single. Week. That's 52 articles a year working for you as passive-ish (you still have to send invoices)/residual income in the form of REPRINTS. This could also translate into several blog posts per week (one day to get those 500 words out and one day to edit/research/create graphics). This could also mean 50 days to 25,000 words of a book. 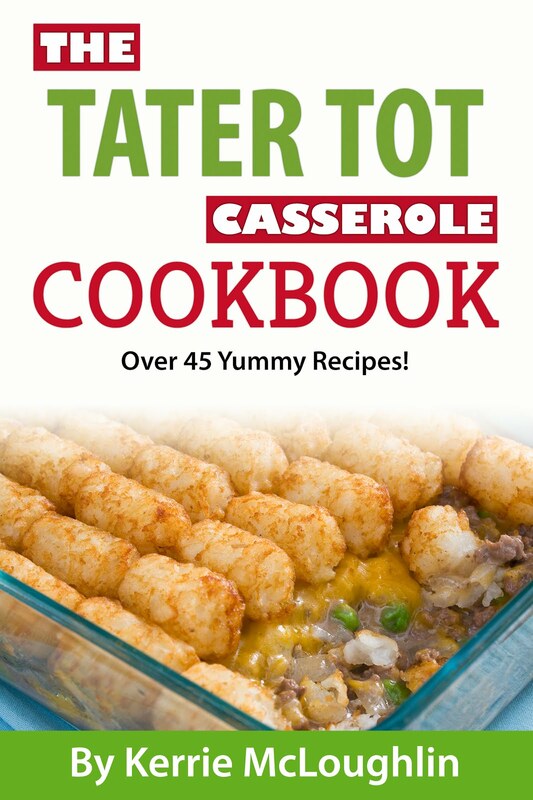 Even if you then take another 50 days to work on a cover, get the book proofread, make sure it is all coherent, etc., you have a book in 100 days. 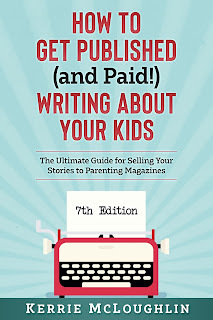 Let's say you're a blogger AND a magazine writer AND a book author. In just ONE YEAR, how many books, blog posts and articles could you knock out if you could just make sure to sit down and get 500 words written every day? Time. Time is always the problem. And interruptions. And life in general, intruding with its obligations like laundry and dishes and cooking and hygiene and weddings and funerals and parties and errands and clogged toilets and car problems. Oh, and sometimes also those cute children running around and also sometimes that pesky little thing called a full-time job that pays the bills while we chase our writing dreams. And yes, I do realize that even when my kids are grown and gone from the house, I will still have lots going on pertaining to them. Have you tried dictation using your smartphone? Not some fancy machine and not even some fancy app. I'm just talking about maybe using the Notes app on your iPhone that comes pre-installed. I am a huge fan of walking outside for my FitBit steps while writing at the same time by dictating my articles and books. I feel super amazing on those evenings when my 8-year-old has soccer practice and I can walk the track ... he's happy and I'm getting exercise while getting work done. I also dictate while driving, which I know might be controversial, but before I got a phone I was writing all my notes long-hand in my lap on a notebook. Tell me which is more dangerous! I don't actually look at the screen while I'm dictating, which often makes for some funny untangling of words later on, but I can just talk and talk stream of consciousness style, and end up with something I can work with later. When the file is done or when I get home, I just send the note to my email box. Then I grab it and put it in the correct project file on my laptop (you might be more progressive and use Google Docs). You could dictate while nursing your baby, while making dinner, while folding laundry or waiting for your kid to get out of a drama rehearsal. *This post was 511 words and I cranked it out super fast over our Homeschool Lunch Break, then edited later. I would LOVE to hear how this works out for you or if you already do it! There is as of not long ago the issue of cash for certain understudies in poor states where individuals try it don't send their children for planning. They ask their youths to work in shops or elsewhere to get an irrelevant utilization on account of insufficiency of cash in home. Guards ought to be clear with their children and should battle for them to make them mind blowing understudies and remarkable people. All the achievement of youths relies on reality of https://www.onlineproofreadingservices.net/our-best-proofreaders-services/online-paraphraser-service/ their kin since guardians are the comprehensive network who can make their youngsters' life wonderful. Askew, understudies ought to go to fields to watch by and large preoccupations which reveal to them how to play before enormous crowed. Such visits by the fields reveal to them what read here amount driving forward work players did to come on this estimation.